The House Blend Organic espresso consist of coffee's from Sumatra, Ethiopia and Peru. 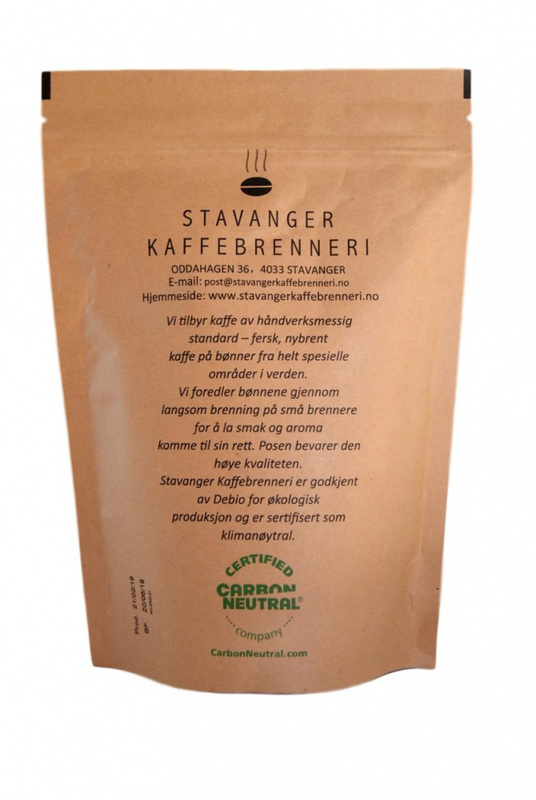 All certified as 100% øOrganic and as Fairtrade. The semi-washed Sumatra is the main component. It comes from the Aceh Province at the Island. 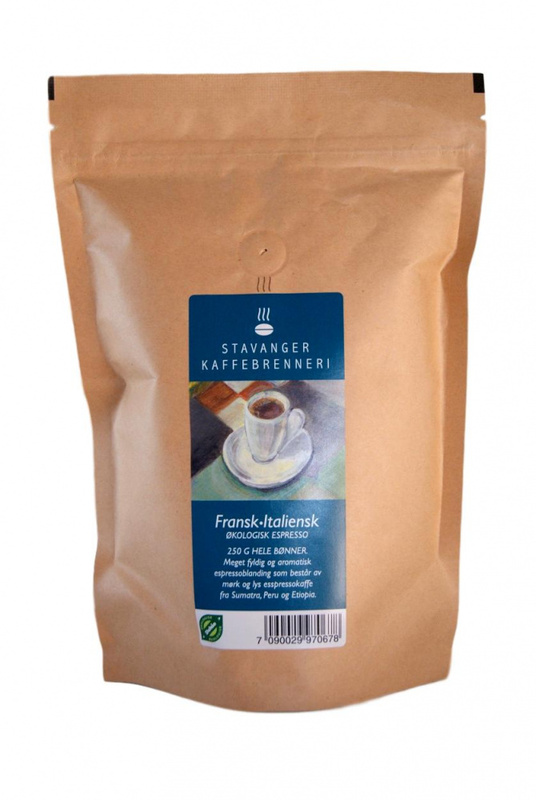 The so called "half/half" blend means that we have blended light and dark roasted espresso. This gives the blend a more complex taste where you get a pronounced bittersweet aftertaste.